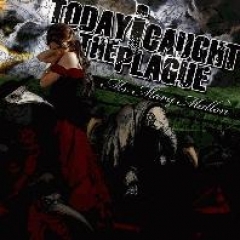 Today I Caught The Plague are one of the newer screamo/metalcore acts that have recently caught my attention (heh!) because of their intriguing name, so I decided to check out their debut EP "Ms. Mary Mallon", and like so often with bands professing strange names as these, the quality of recordings for such a young band is astoundingly high, not to speak of the fresh twist these guys bring to the overly saturated genre. The starting point for the EP is artsy screamo with high-pitched, polished screaming, complex scales borrowed from the metalcore genre, and occasional smooth clean singing to complete the mixture. Sounds familiar, eh? Wrong. Something about the EP just sounds different to the legions of other screamo bands out there. It could be the unusual time signatures, the sudden pace changes, the method how the guitar changes from blinding scales to progressing chord/riff interplay, or how the album just swings from heavy to soft in a matter of nanoseconds, seemingly. Nonetheless, already the opening seconds of "The Artisan Movement" sound different, as vocalist Journeaux unleashes his manic, relentless screamo-assault that literally sounds like it's bouncing up and down from the crunching guitars.. and moments later the song transforms with calm guitars and a classical piano arriving in. It's like witnessing two polar opposites in the same song, the ultra-soft and the chaotic, and the switch between the two is as abrupt as it is unexpected, which is probably why it works so damn well. So that was the first track. "Columbella", the second track, starts off with a beautiful acoustic introduction, before a couple of blast beats arrive and the metallic guitars take a turn towards Protest The Hero-esque wizardry, hinting even towards Between The Buried And Me-ish unfathomably beautiful melody, all while Journeaux screams explosively on the background, and back up vocalist Davis sings at the forefront. The way all these extremes have been fitted into the song and placed in layers is something any fan of the genre should see. Think Chiodos, only much better, and much more artistic. Speaking of artistic, the beginning of "Curious Lives Of Human Cadavera" is just that, once again featuring the faded-away screams in the start and slick guitar picking thereafter. "The God City Gunlight" features a nice contrast between classical piano and chaotic metalcore/screamo hybrid atmosphere, offering yet another fresh, unusual twist to the band's sound. The barely over one-minute long interlude "Dearest Delia" follows thereafter, but it's a song I would've left out. It's only function is to up the artsyness of the record overall, but I suppose it also works as a nice calm-before-the-storm track for "Dead Girls Don't Smile", the six and a half minute mammoth that really makes Chiodos' "Bone Palace Ballet" pale in comparison. Despite the epicness of the sound, the band still manages to keep it tight and intensive, just like on all the other songs on the EP. Overall, I have to say that Today I Caught The Plague have been one of the biggest surprises in the screamo/metalcore genre in a long time. They are offering a take on the genre that hasn't really been heard to such an extent before, sounding uniquely different from all their contemporaries without sacrificing the ABC's of the genre in the process. Recommended for anyone in disbelief about the potential these two genres still profess.